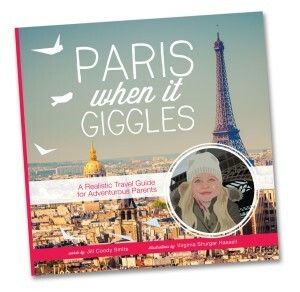 Paris When It Giggles is a city guide, picture book and travelogue all rolled into one pretty little package. Filled with true stories, useful tips, dreamy illustrations and inspiring ideas, this honest and sentimental handbook was designed to convince reluctant parents that the magic of Paris is best experienced with their littlest travel companions in tow. Now available on Amazon, iTunes, and the shelves of BookPeople–surely one of the best book stores on the planet.